Valley of Fire State Park is an other-worldly place in the desert just outside of Las Vegas, Nevada. 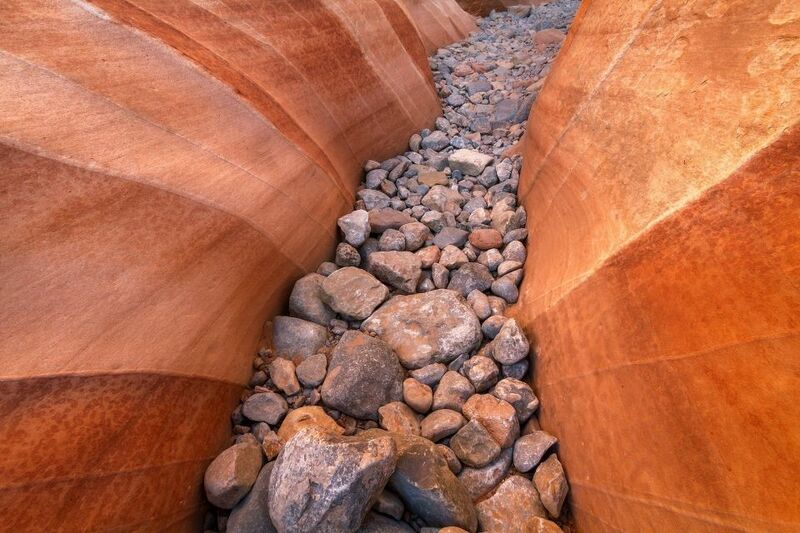 The sandstone here has formed and eroded away to create uniquely amazing patterns and colors in the rocks while flash floods funnel smaller rocks down into the bottom of the washes. The park is a great place for nature photographs in the desert Southwest.